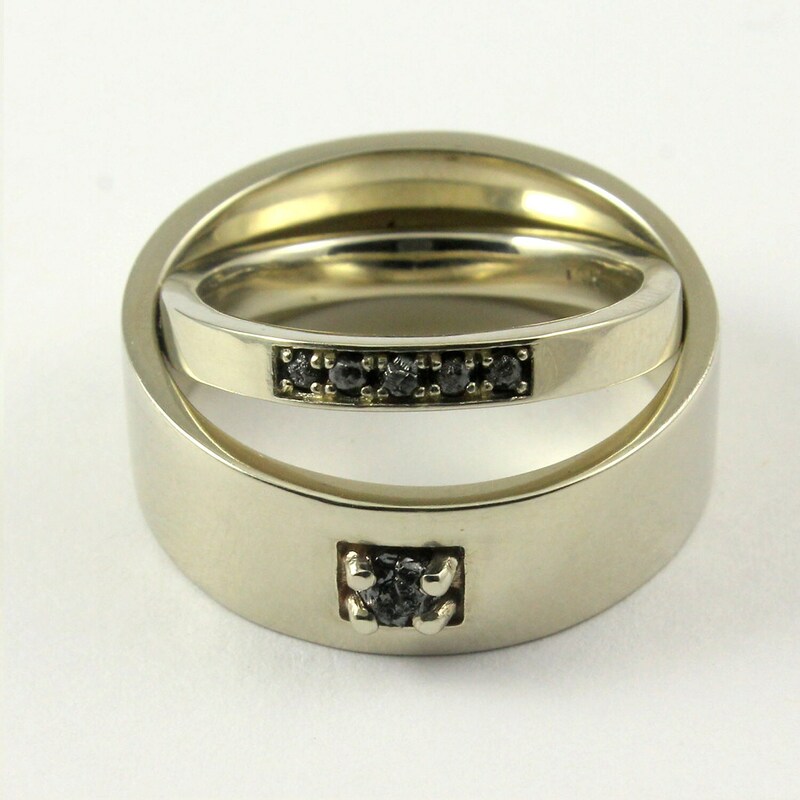 This listing is for a set of wedding bands with jet black raw rough diamonds. 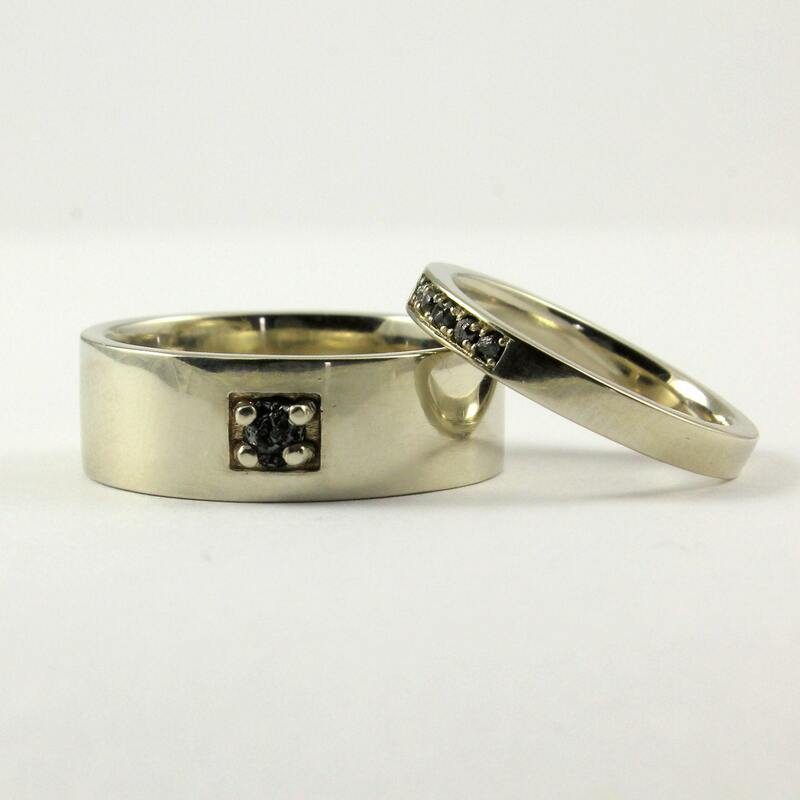 Man’s band features 3mm diamond and lady’s band includes five tiny 1.5mm diamonds. While rough diamonds are unfinished and uncut and usually have unique shapes, we make a careful selection of these diamonds to make them look similar on the lady’s band. 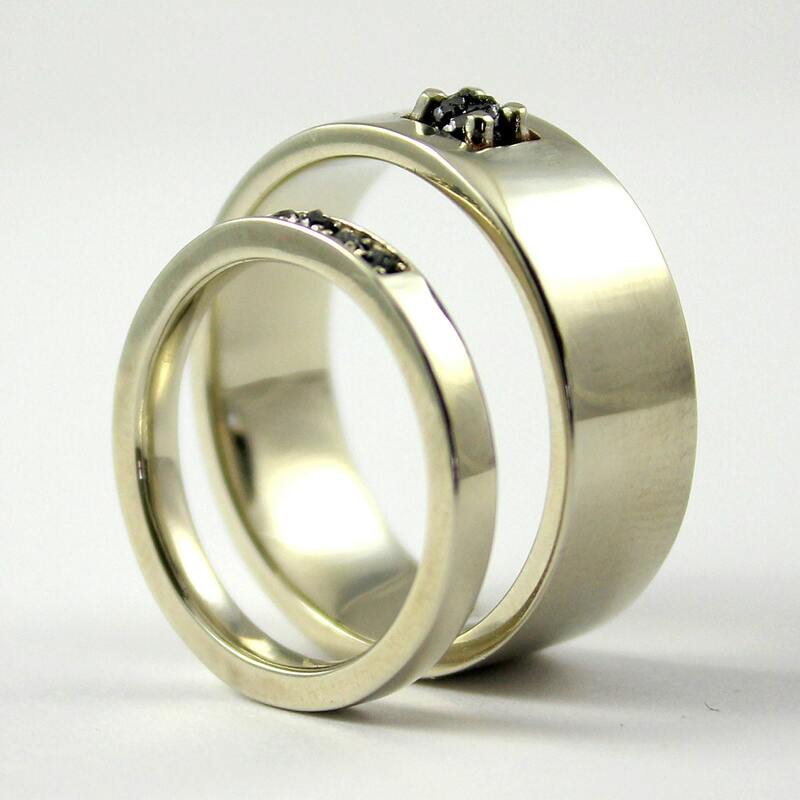 The bands are casted and made as whole pieces with no seams of soldering. These are SOLID bands, weighting over 15 grams in total for both. ★COMFORT FIT design - The bands are rounded on inside edges making it very comfortable to wear. The bands can also be made in Yellow and Rose gold in both polished and matte finish. Please leave comments while checking out if you would like to order the band in any of the combination of the gold selection and the finish. 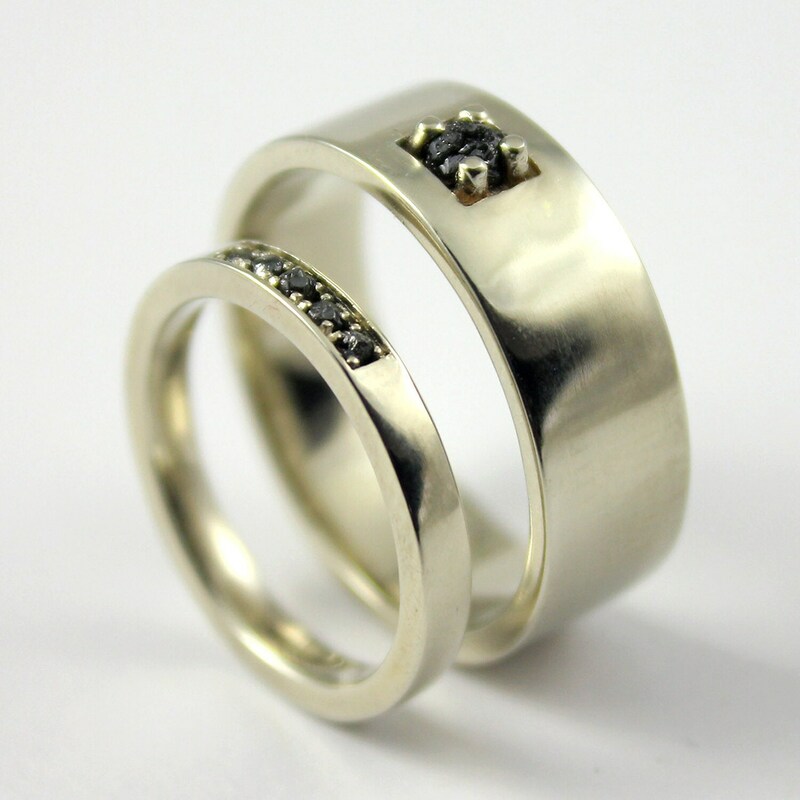 ★DIAMOND COLOR selection – You may order the band with white or blue rough diamonds – please contact us for details. 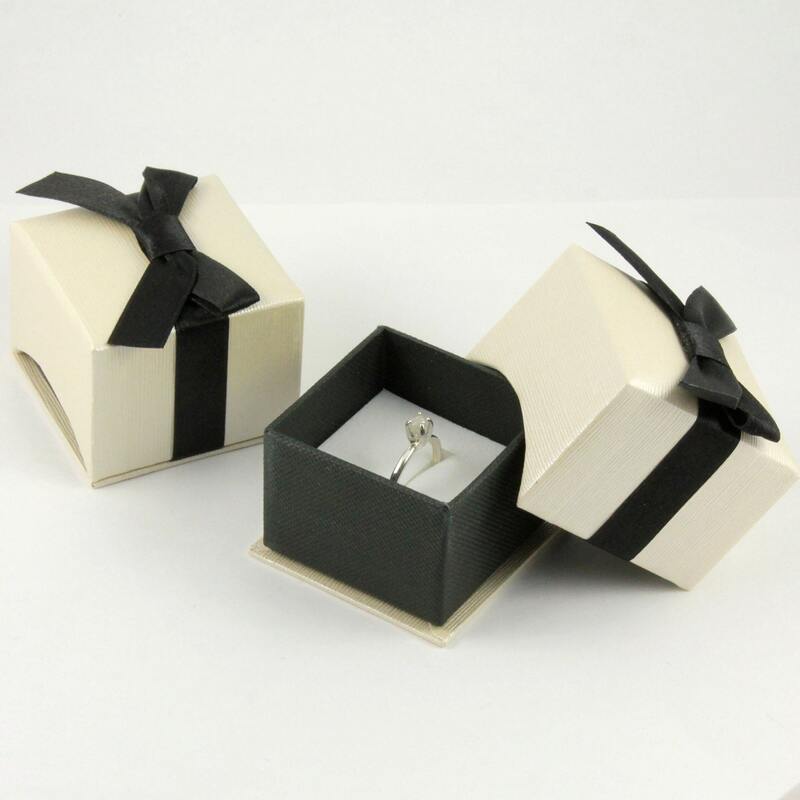 The rings come in a nice gift box as featured in the picture #5 sample.